Reliable electricity ensures safe storage of medicines and vaccines. In Zimbabwe, electricity shortages often cause lengthy blackouts. Without power, health clinics are unable to store vaccines and other life-saving medicines properly. Natalia Linou is with the U.N. Development Programme – or UNDP. The international organization works with health clinics in Africa, Asia, and elsewhere. They provide reliable, renewable energy. That helps ensure that doctors and nurses can safely store medicines, run life-saving machines, and access important data. The program is expanding. 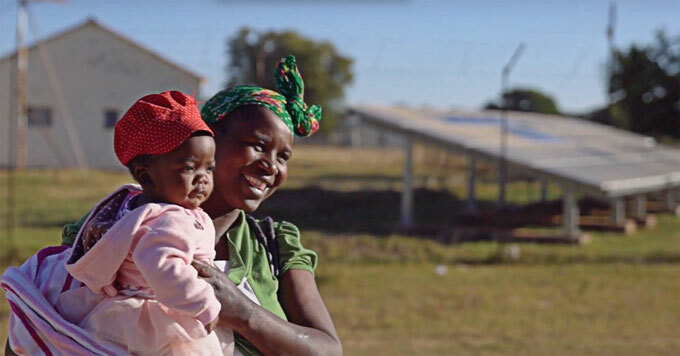 UNDP has now installed solar on clinics in Zambia, Libya, Namibia, Sudan and South Sudan. So the power of the Sun is not only helping to reduce carbon pollution, it’s helping to improve people’s health and even save lives.